IMPORTANT! In announcement should be shown the student\'s or teacher\'s name and the type of the card. (e.g. 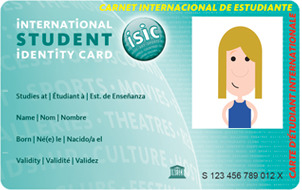 Ibolya Kiss, ISIC Student Card). Your card will be printed only after we recieve the amount.